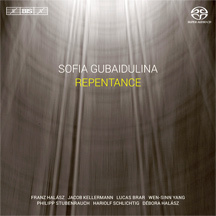 Sofia Gubaidulina’s brilliant, sustained creativity proves itself with these four diverse pieces composed over a period of fifty-three years. The too brief “Serenade” (1960) for solo (nylon string) guitar recalls 19th Century Spanish music for that instrument, very pretty, very ornate, and somewhat out of place among the more modern music that Gubaidulina would later compose. 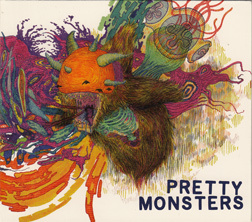 The 2008 title track uses bits of this old world feeling for three guitars, cello and double-bass, weaving pretty chords and harp-like strums with weirder effects from the two bowed instruments. It is a chamber music both challenging and comforting. The 1965 “Piano Sonata” does not sound unlike a Scelsi piano suite from the previous decade, brooding with long drawn out resonances. 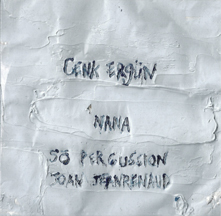 * Composer and musician Ergun might be known for a duo record with Alvin Curran. 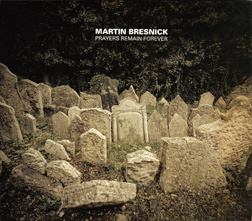 This record collects two long compositions for percussion and cello. “Proximity” for percussion quartet slowly moves through a series of percussion instruments, bells, vibes, chimes, building up repetitive structures of each instrument that blend with other instruments, often with long, lingering fades. I can’t help but think of Feldman’s use of vibraphone in pieces like “Crippled Symmetry,” careful notes haunting the ear. This is not true of the open section of pinpricks of muted metal objects. Ergun has worked with So Percussion quartet on numerous occasions and writes brilliantly for their abilities. “Cello Piece” is another half-hour piece for related instruments, here four versions of an open score to be recorded and played back at once, again recalling, at least in principle, another favorite Feldman piece, “Four Pianos.” But unlike that piece, the four versions can vary by huge differences, each one performing a different type of playing at the same playback time. * This duo fashions a weird, eclectic cycle of songs centered around Carter’s classical Indian-influenced singing. The singing is more like chanting, and supposedly chanting about the online community Second Life (!). She intones about the mysteries of love, song, language and identity. Sondheim accompanies each song with seemingly a different instrument, a variety of ethnic violins, jaw harps and on “Credo,” electric guitar in the blues tradition. The songs are weirdly modal, sticking to the same tonal center throughout the song. It’s a beautiful and original presentation. Ever since playing Zork in the early 1980s, I’ve wondered about the use of computers to expand the horizons of art, using their powers to react dynamically to the viewer. 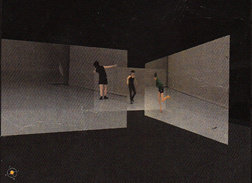 This app, based on the main exhibit of Austin, Texas-based dancer Deborah Hay’s 2014 show at the Blanton Museum of Art, isn’t exactly innovative, but presents an interesting document of an art installation, an installation based on the equally ephemeral (in terms of documentation) art of dance. At the Blanton, you could walk around, in front of, behind, four large sheets suspended in the middle of a large, darkened room. Each screen held the projected video of one of three dancers. The projectors were mounted on the ceiling, but as the projections reached the floor, one could introduce one’s shadow onto the projected image. Deborah Hay was not one of the three dancers. Her specialty in choreographing involves working with the dancers to create a dance personalized to the dancer. 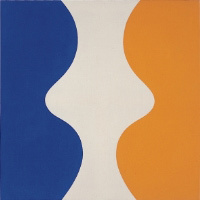 There is one work, but many, here three, interpretations of it. Highly collaborative, I have read that the privilege to work with Hay in such proximity is one of the rewarding aspects of performing her work. The app places the three video projections into a 3D virtual space, which you can move through by tilting the iPhone/iPad in various ways. I have not yet played any such tilting games on the devices, so my use of the app was awkward and frustrating, trying to center the image or look at a particular video. There are no shadows in the app, a childish and required aspect of the exhibit, but on the app one can move through the screens, which was a weird feature. The dancing is a mix of every day, athletic and specialized movements, and what links the four dancers to the choreography is not immediately evident. A certain je ne sais qua feeling exists across the four videos, of tempo and mood, but I did not notice any specific movements or routines common to everyone. I thought this was a wonderful way to document the performances, rather than just playing them one after the other. * In these six diverse pieces composed from 2010 to 2012, Bresnick draws inspiration from a variety of literary forms, a poem, short stories, an etching and fragment of a lost language, to paint vibrantly flowing chamber works. The solo piano on “Ishi’s Song” pulses with beautiful, interlocking descending phrases, like streams of water splashing down a hill side. The main melody is based on a fragment of an Yahi Native American (from Northern California) song, whose meaning is now lost to us. “Going Home - Vysoke, My Jerusalem” would be the crowning jewel in any composer’s catalog; oboes, violin, viola and cello weave a moving tribute to his family’s home in the Old Country, and maybe that explains the lush counterpoints of the intertwining instrumental lines, reminding me of, perhaps mostly beacuse of the oboe, Varese’s Octandre, or Ligeti’s Double Concerto. It is beautiful, and beautiful in a way that isn’t typically heard in this Modern Composition section. “Josephine The Singer“ and “A Message From the Emperor” are both based on stories by Franz Kafka but differ widely in their appraches. A lone violin illustrates the changing fortunes of the mouse Josephine, from sad long tones to a jubilent folksy melody. Percussionists Michael Compitello and Ian Rosenbaum take turns in reading lines from “A Message From the Emperor” while providing pulsing rhythms from a vibraphone and marimba, the ringing bell-like tones giving the piece a Chinese feeling appropriate to the story. The second piano solo, “Strange Devotion,“ again performed by Lisa Moore, also reminds me of past musical traditions, here the Préludes and Etudes of Chopin that I enjoy. I bought this CD purely on the sterling character of previous Edition RZ releases. I had never heard of d’Angiolini before. And Edition RZ does not disappoint. 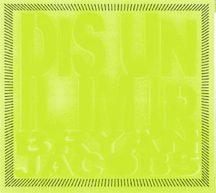 d’Angiolini’s compositions are beautiful pointillistic structures, ordered by obscured rules, seemingly random in the work for ten chamber instruments “Simmetrie Di Ritorno,” and following a repetitive harmonic structure in the brass-heavy “Und’ho d’Anda.” Throughout I am reminded of the works of John Cage from the 1960s, the notes pop into existence, seemingly unconnected. 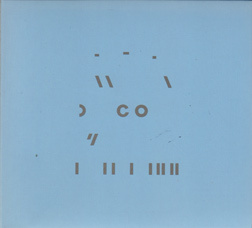 The 2004 string quartet “Notturno In Progressione” is even a tribute to Cage, using his late era technique of time brackets. It’s a stark music, for those who love the sound of instruments, who love sound and texture. Wonderfully interesting music, as is to be expected from this discerning label. * Young has played bassoon with various Anthony Braxton groups for a few years now, and the quartet she has assembled to perform her own compositions are as exciting, or maybe more so, than that of one of my favorite and most listened-to jazz composers. Drummer Mike Pride and guitarist Owen Stewart-Robertson at times provide a heavy rock influence, and at other times, the strange instrumentation, Erica Dicker’s electric violin is the fourth instrument, recalls that wonderful Fred Lonberg-Holm project Trigger and at times the kinetic funk of God Is My Co-pilot. The bassoon and violin’s strange sonorities spar with the electric guitar, no instrument taking a back seat to the others as a supportive role. This is an exciting release that flattens boundaries between genres with a wonderful group chemistry. * Powerful music from a dynamic and inventive trio of Elena Kakaliagou (French horn), Ingrid Schmoliner (piano) and Thomas Stempkowski (double bass), none of whom are familiar to me. 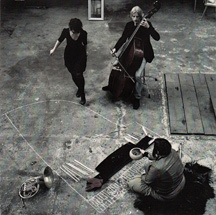 Their music, described in the liner notes as “composed” by the three of them, weaves both simple notes and complex extended techniques into a dynamic and surprising chamber music. The opening piece “Heinz,” introduces each instrument one by one; a snaky melody on the horn reminding me of a solo piece by Scelsi, a jazzy plucked section by the bass, and then the piano’s plinky introduction. 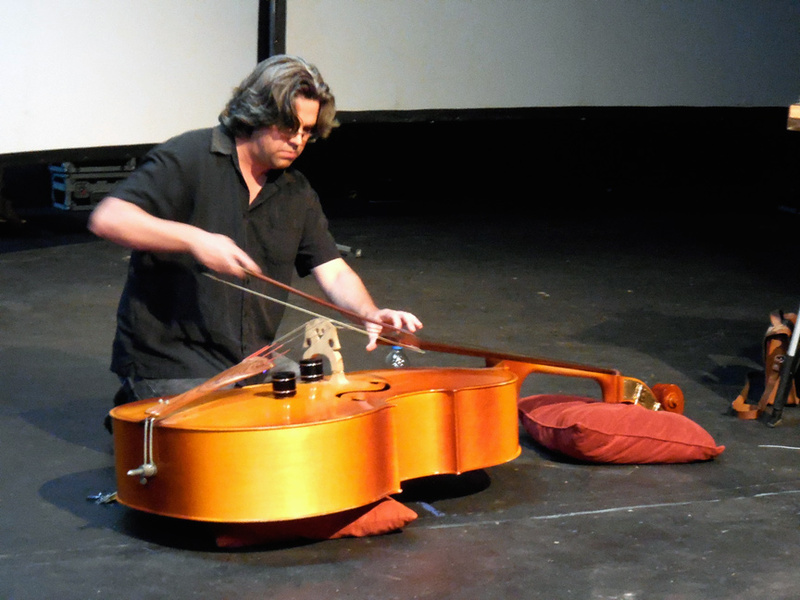 Then the parts are combined by two or more of the instruments, extending their introductions. 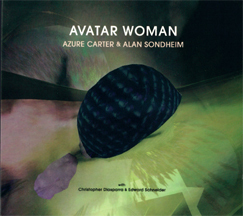 All of the playing throughout is superb, beautifully mixed together, each adding what is needed, and no more, to the atmosphere of each piece, at times evoking a strange Javanese feel, and at times one of Cage’s open compositions where you can take the piece where you want, perhaps owing to the simple preparations inserted into the piano strings on some pieces. Kakaliagou’s occasionally spoken poetry (in her native Greek?) builds another layer of interest. Even after repeated listenings, I don’t know how to describe this record without just explaining what happens in each piece. Tashi Wada’s (son of sound artist Yoshi Wada) set of duets for cellos have them play slowly changing glissandos together as close as possible. This extreme form of minimalism brings out miniscule differences in the playing, especially during the final piece “February 2008” where slight differences in each instrument’s harmonics creates a faint buzzing hovering over the bowed notes. The piece “March 2007” replaces bowing with plucked notes. Cellists Charles Curtis and Judith Hamann play superbly, merging their playing so closely that most of the time I can only recognize a single instrument. The slow, methodic approach to a simple idea, a slow glide between two intervals, recalls Alvin Lucier’s sonic experimentations and are no less interesting or revealing. * I first heard this piece when it was initially presented to the public at Bill Thompson’s Loft concert series in 2004 or so. Then, as now, I made the comment that the piece isn’t for twenty-seven oboes, but one oboe, played by Jacob Green, overdubbed twenty-seven times. The piece moves through sections of incidental noises from the oboe, key clicks and such, to an explosion of shrill notes like a Middle-Eastern claxon, to accompaning a pretty acoustic guitar interlude, to a mass of oboes playing similar notes to sound like electronic drones and pipe organ. 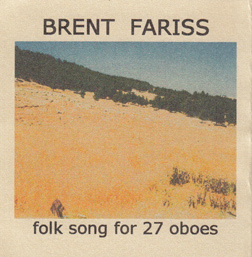 The acoustic guitar and oboe mass of course reminds me of Jim O’Rourke’s Happy Days for acoustic guitar and hurdy-gurdy (or even Gastr del Sol’s Harp Factory on Lake Street), but here the oboes do not obliterate the guitar’s presence. Brent Fariss, June 2013, Austin, Texas.